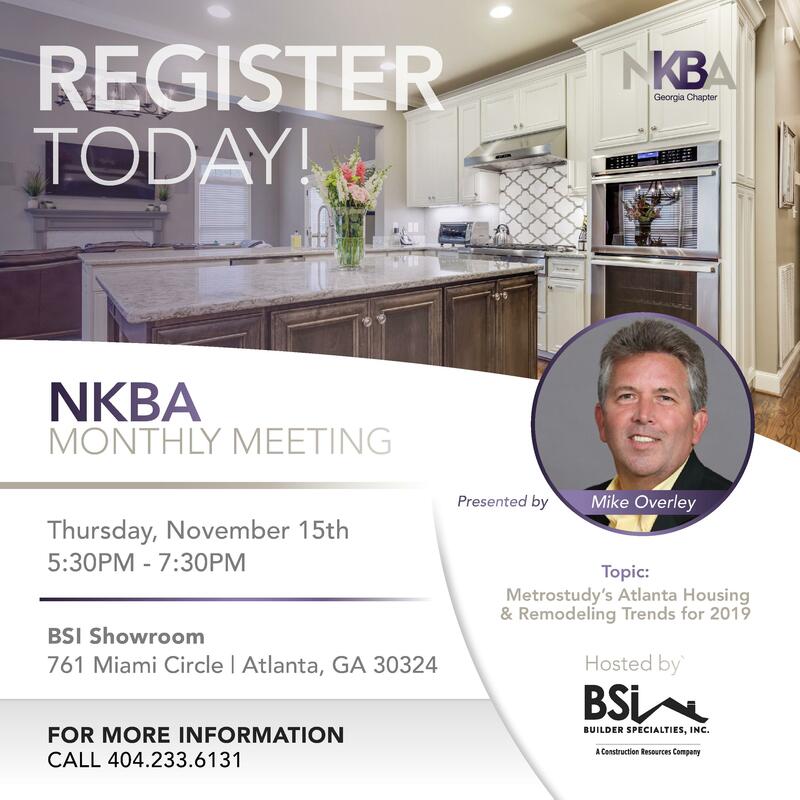 We at the NKBA Georgia Chapter appreciate your interest in our association and hope you take advantage of the many opportunities to become involved with a great group of professionals in the Georgia and Greater Atlanta area. 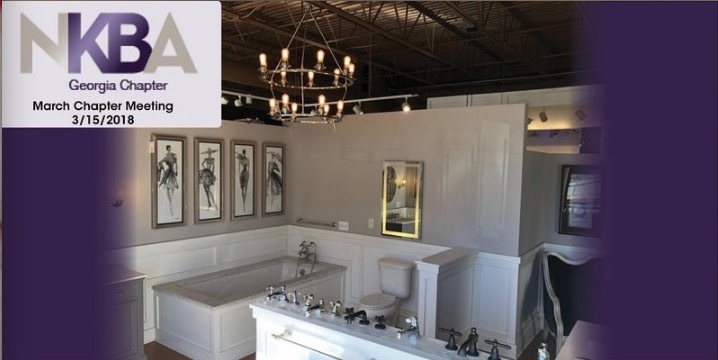 Click here to visit the NKBA Georgia website. Andre Boykin is known for his ability to connect with people and to move them to take Action! Andre uniquely combines experiences, learning points, and humor, to create a message that resonates, while educating and entertaining his audiences. Andre’s success and experiences as a leader in Fortune 500 Companies, as well as in the companies he founded, is the basis for his ability to relate to executives, entrepreneurs, sales professionals, and other business leaders who are out to accomplishing something extraordinary. Andre has worked in over thirty different industries spanning manufacturing, banking, healthcare, and hospitality. Andre has been featured in numerous local and national publications on topics of leadership and sales. He is a co-author of the popular sales book Masterminds Unleashed: Selling for Geniuses. And, he is the author of the soon to be released The Five C’s of Winning Posture. Andre’s consulting firm CAPITAL iDEA works with organizations bridging the gap between talent and results. Through the firm’s RightFit Solutions and Talent Development Solutions, CAPITAL iDEA is recognized for creating companies that WORK and was named a Top 100 Small Business by South Florida Business Leaders Magazine. Andre is a certified Human Capital Specialist and has many certifications and designations related to the development of human potential. Andre is committed to making a difference in our youth. He leads the fundraising efforts for the Marc Jaiden Project, a non-profit organization that provides eye care services for under privileged children and adults in South Florida, Jamaica, South America, and Haiti. Andre is also a frequent volunteer with Junior Achievement to help shape our leaders of tomorrow. 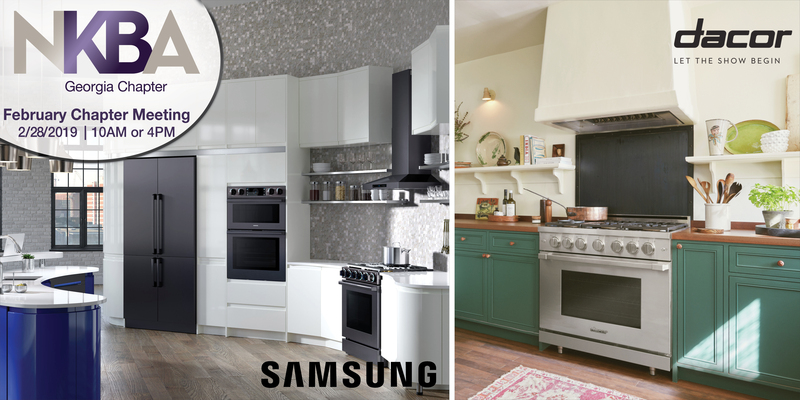 Come find out about KBIS with our panel discussion on 2/28 at the Samsung POP-Up Showroom! Please note there are 2 separate time sessions you can choose from to best suit your schedule. 10am session includes CEU(KBIS panel discussion), followed by Tour. 4pm session includes a Tour followed by a Happy Hour! 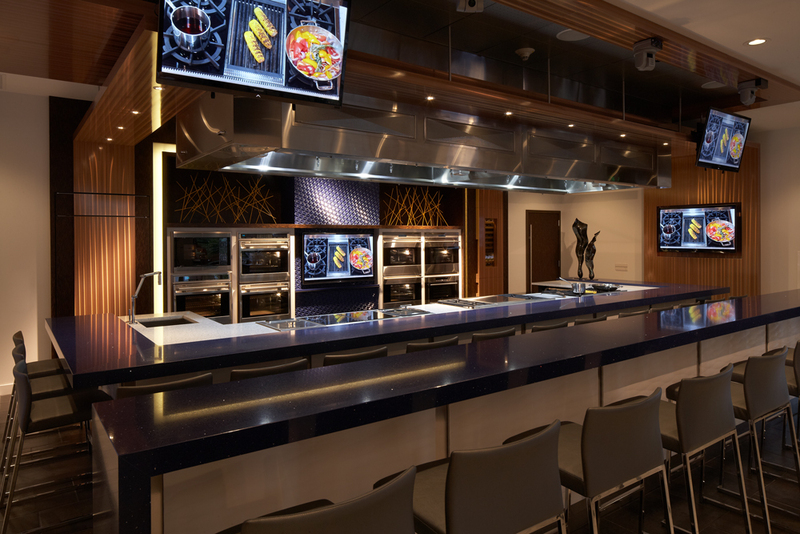 Howard Payne Company – Atlanta’s premier kitchen appliance dealer will be hosting a morning chapter meeting! 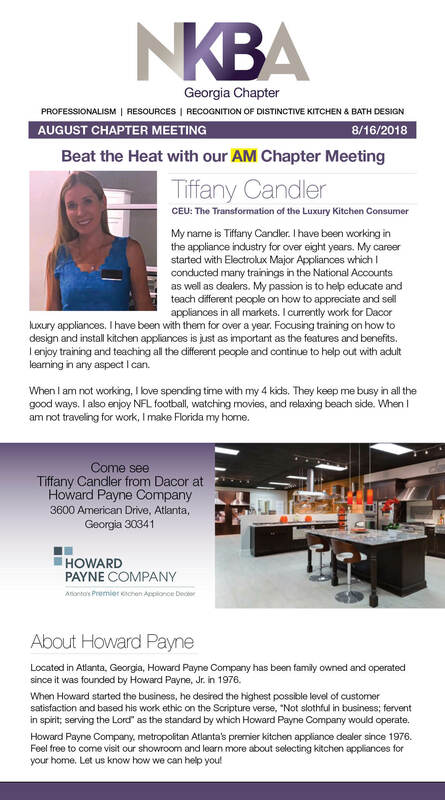 Tiffany Candler from Dacor will be presenting the CEU: The Transformation of the Luxury Kitchen Consumer during the latter portion of the meeting. While networking and fine breakfast eats will take place during the first portion of our meeting. We LOVE our members, and want to personlly thank you for being a member of our Georgia chapter. We want to honor you being a member at our May meeting with a lot of opportunities to win door prizes and just celebrate with your fellow peers with amazing food & drink! If you are not a member, you are still welcome…just register soon since this meeting historically fills up quickly. MEMBERS – please register on Eventbite even though your meeting entry is complimentary for this month as our first way to say THANK YOU! Come network & learn with your fellow kitchen & bath designer peers, and other industry professionals at PDI’s Lawrenceville location for our March Chapter meeting. 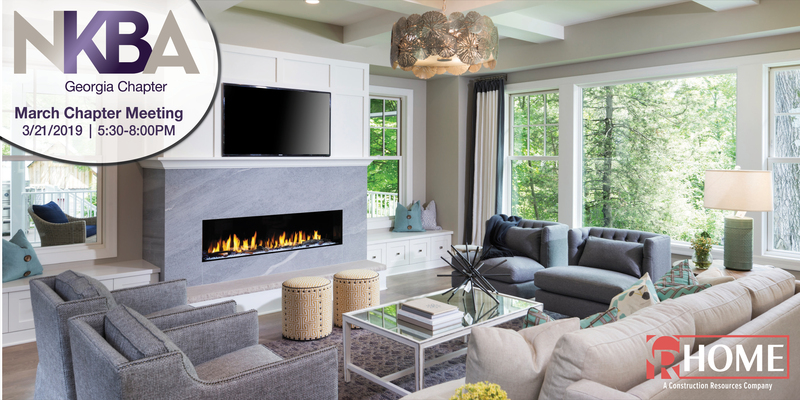 Lighting Controls as a Component in Interior Design will be the CEU that Trip Speigh with Legrand North America will present for a 1 hour credit course. And finally, the best door prize in recent memory will be given away…A Porsche Driving Experience! So please reserve your ticket today! 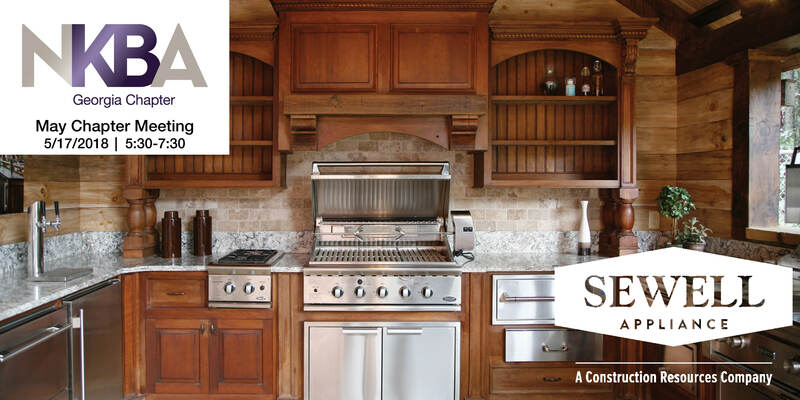 This event will earn you .1 NKBA CEUs. 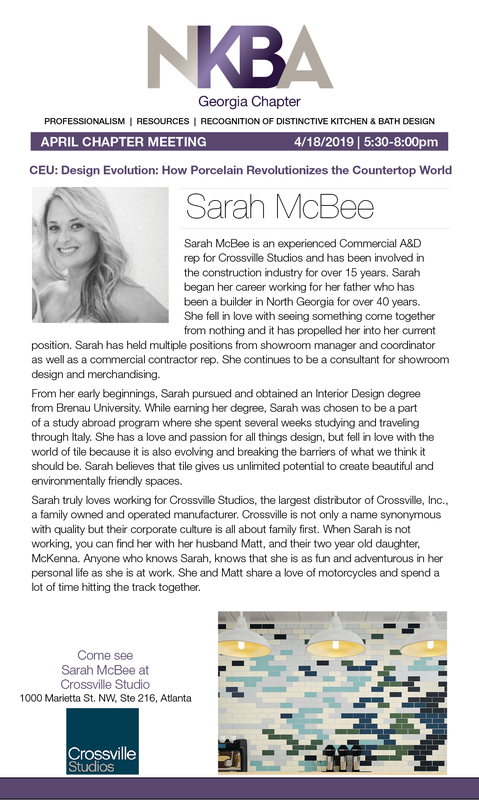 The NKBA-GA Chapter is proud to host Architect’s Month at Sub-Zero | Wolf’s Atlanta Showroom. 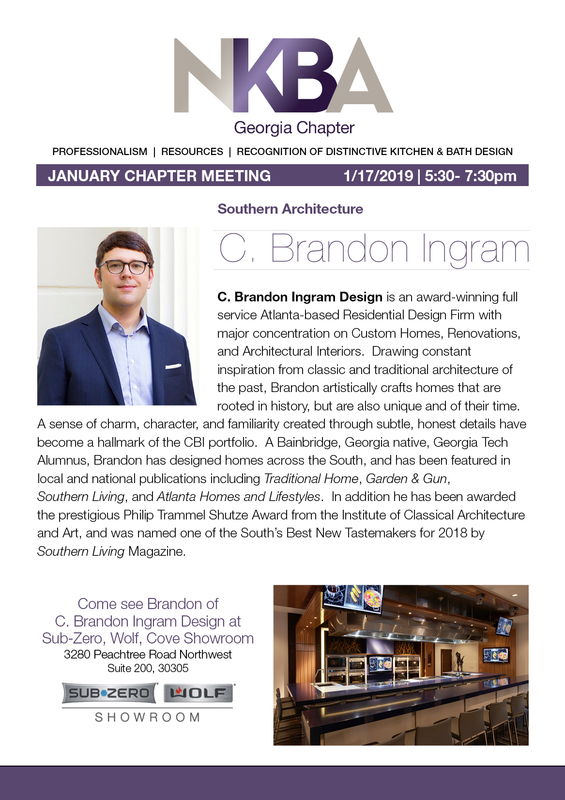 Come experience Dietrich Thomas Logan from Logan Design Group International as he delivers the CEU: Watching Atlanta Move From Traditional to Transitional.